The APEXX Analytics reporting facility on the APEXX Gateway allows the reconciliation of multiple provider data into a single comprehensive and customisable report with exceptionally granular data-mapping. This allows merchants to properly understand every aspect of the performance of their providers in order to carefully tailor their payments ecosystem to perform to its maximum potential. Every transaction that passes through the APEXX Gateway represents a data rich opportunity for merchants to better understand their customers, their markets, and their business. The aim of APEXX Analytics is to give merchants the ability to aggregate, order, and understand the data that is collected and retained through the APEXX Gateway. The more you can understand about your customer as a business, the better you can function as a business. The APEXX Analytics platform aggregates essential information such as amount, currency and clearing status, as well as collecting metadata like customer and device information, geo-location, issuer country, token information which can then be filtered and produced in customisable reports. The key to amazing and precise data analysis is powerful mapping and visualisation. 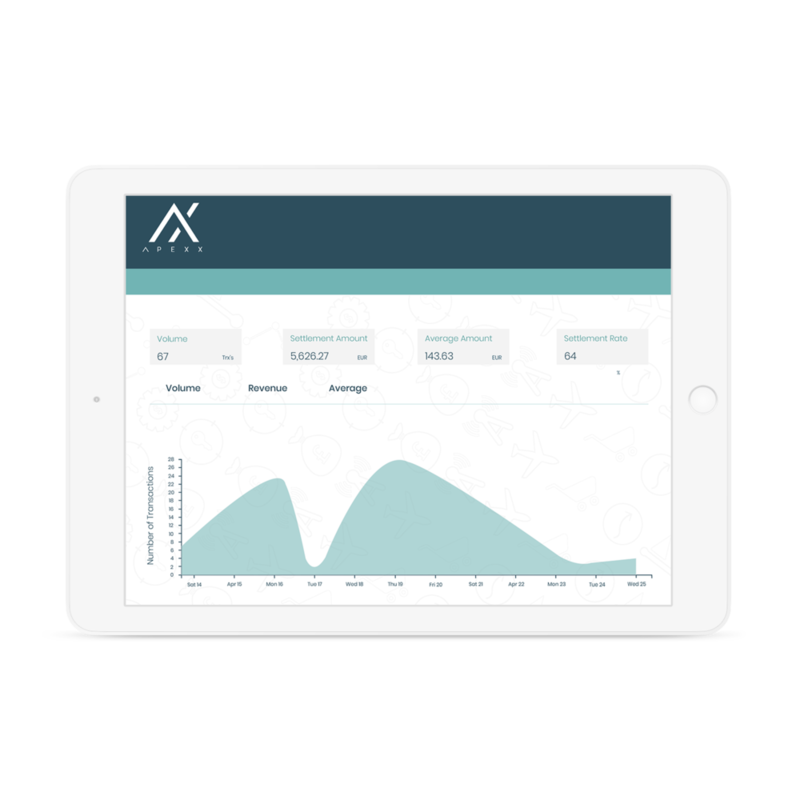 APEXX Analytics uses a GPU-powered database technology to generate interactive charts and graphs which are fully customisable and can render and format billions of transactions instantly. These widgets can be added to the individual user dashboard and be arranged and cross-filtered according to each user's needs. This gives unique and instant insights for every part of the business from risk management to sales.